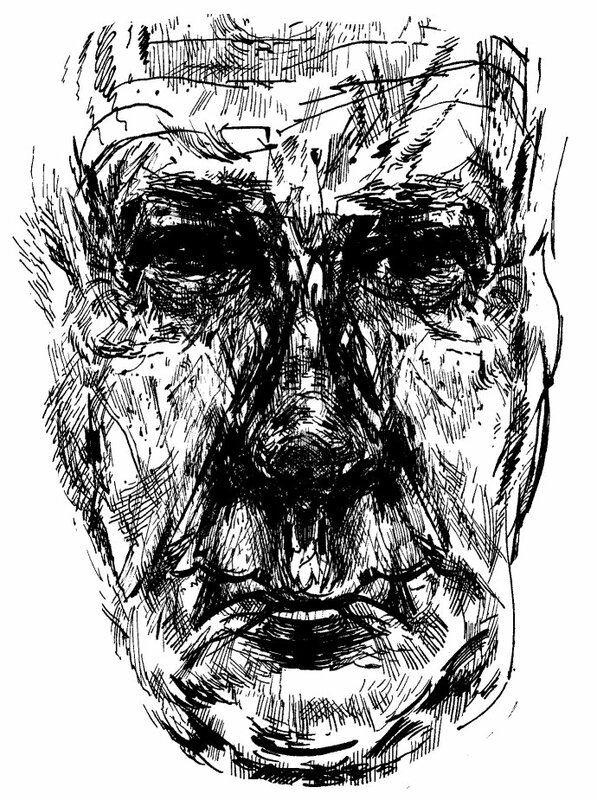 New piece added to the ‘George Barker: fragments’ page, on a variant draft of Barker’s “Elegy” that indicates that at one point he had believed his friend and fellow poet David Gascoyne to be dead. Here or via the Barker tab at the top of this page, and then scroll down. 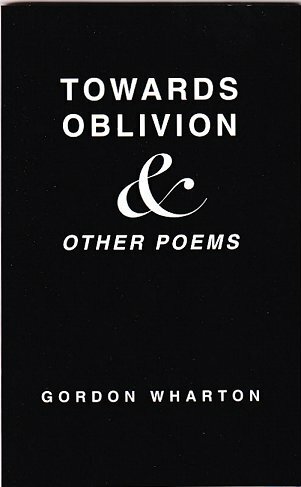 New page added (tab up the top, or go here), devoted to an attempt at a proper appreciation of the poetry of Gordon Wharton, whose first three small collections were published from 1954 to 1957, but who has recently made a startling comeback, fifty four years on, with an excellent new collection, Towards Oblivion. A British poet who certainly deserves to be read and recognised. 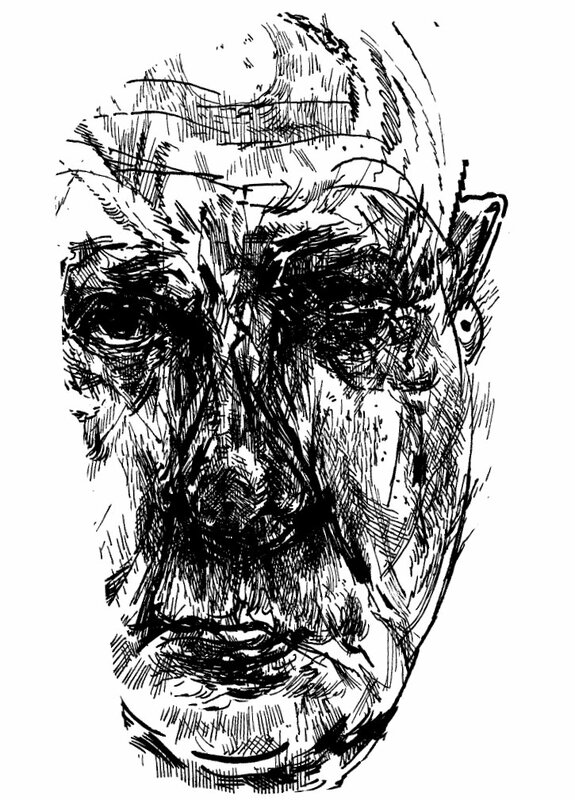 Composite self portraits: pen and ink drawings, layered digitally. New fragment added to the George Barker page, concerning the origins of his “Gog and Magog” characters in Dialogues etc. Tab at the top or click here. Living – it has done for me. It has been done to me. look at how you’ve turned. and tell me when they come for me. watch me when I burn. holds a mirror at a distance. 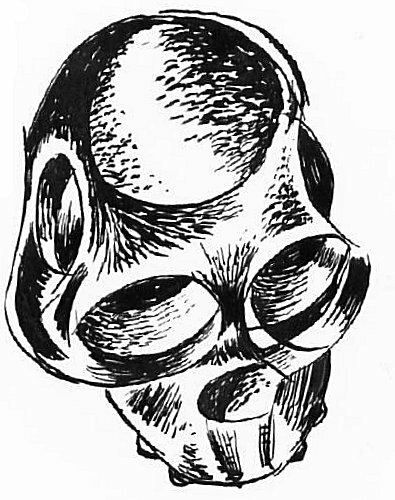 New fragment added to the George Barker page – tab above or go here – on poetry and the incantatory, excerpted from Barker’s 1985 pamphlet essay The Jubjub Bird or Some Remarks on the Prose Poem. 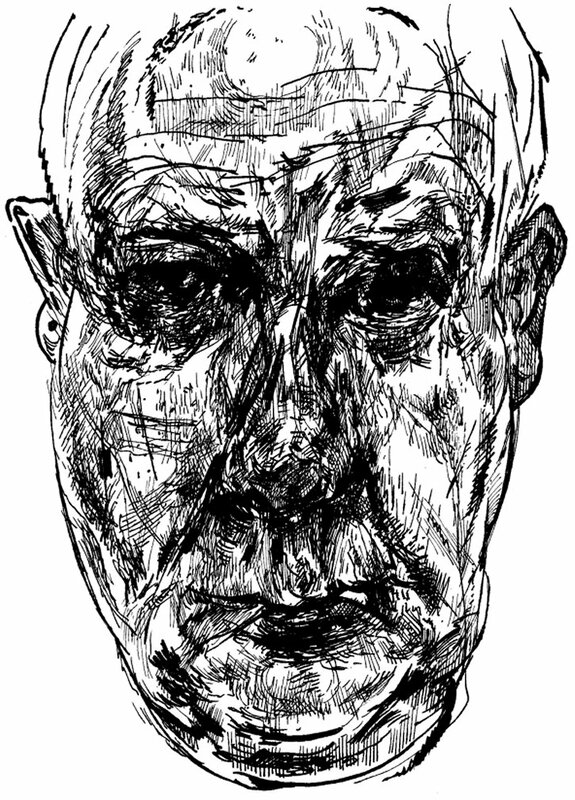 New page added with a couple of bits and pieces on the poetry of George Barker. Other bits may be added to it as we go along. This incorporates the June 12 post “An unpublished fragment by George Barker”, which I’ve taken down. 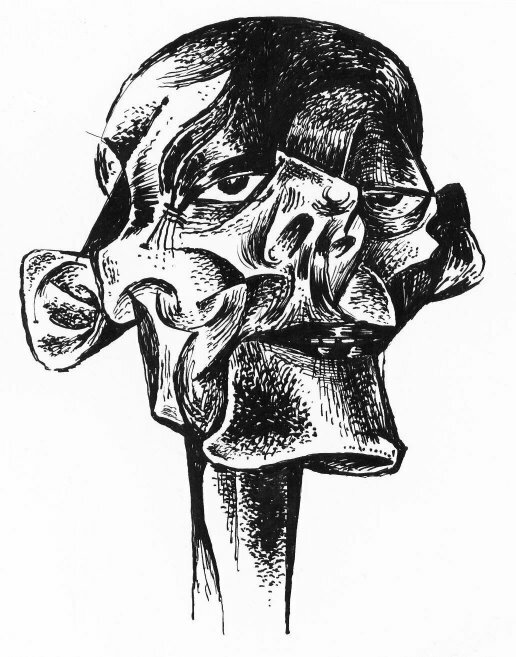 The new page includes an image of Barker by Jessica Dismorr. Tab to the new page up above or link here. 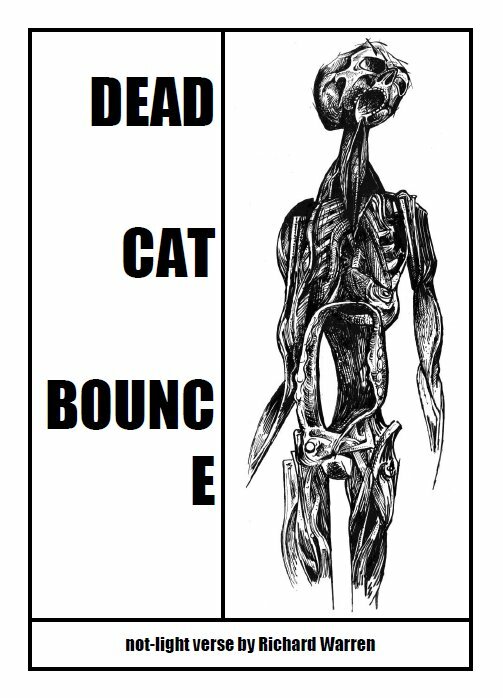 Recently happened across a review in Sphinx 11, 2009, of one of my first pamphlets of poems, Dead Cat Bounce. I’d clean forgotten I’d sent this in. Two years isn’t a long time, but it seems a long time since I wrote these. Reading the reviews felt compulsive but cringeworthy, like seeing an old photo of yourself in a crap haircut. “Is Warren advocating revolution, or just having a good old moan? “Like Rudyard Kipling on crack. Over the large and empty field, but with diminished expectations, birds are circling. Frost on the hard soil’s surface heightens the trace of the tractor’s path. still to come is the deceitful and appalling aftermath. Heaven or hell for these my fellow passengers? At a rough guess, I’d say the latter for the larger half. looks to his laptop, guards his bag, flips pages, bites her finger. But the zig-zag taxi will take each of us surely to an expectant crematorium. dark mouths widen to their noiseless but original screams. and once more everything is demonstrated as precisely what it seems. This is the nasty face at the window; here is her fear; now is the hour he so correctly dreads. Look – here come the bellowing horrors of our collective and recurring dreams. Still breathing, after a fashion, is the photo, but stone cold is the photographer. The thought, word, intention, curl away to hang as ashes in the whitening air. facing the facts, we face the front in coffin-wise procession, heading off feet first to God knows where. Some closing words, well crafted and respectful, hint politely at conceivable redemption. We give thanks for your zest, but we ignore the elephantine ghosts of desertion, disappointment and despair. For a while there, I had forgotten you ever existed, but a death is a rough reminder. 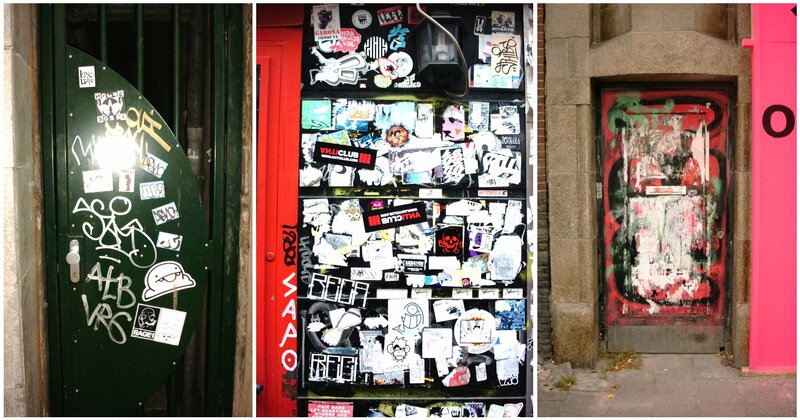 Even so, your memory will be on a short lease, and in a closed niche. a clear Greek sky, your permanent chair in the Copacabana, boules and British beer on an expatriate beach. I stare stupidly at your flowers, and know full well that nothing much of you was ever in my reach. I catch up with your nieces and their husbands. Funny we only meet at funerals. to try to repay – far too late, I have to say – a little kindness for which I’m still grateful. We were both exiles from the same small offshoot of the human race. what in heaven’s name am I going to I say when I see you face to face?